We are a family owned and operated moving company, with our headquarters in Saint Joseph, Missouri. In 2007, Theresa Meyer and Louis Simental (the last names are where the M&S part of the business name comes from), moved back to Saint Joseph, during an ice storm. 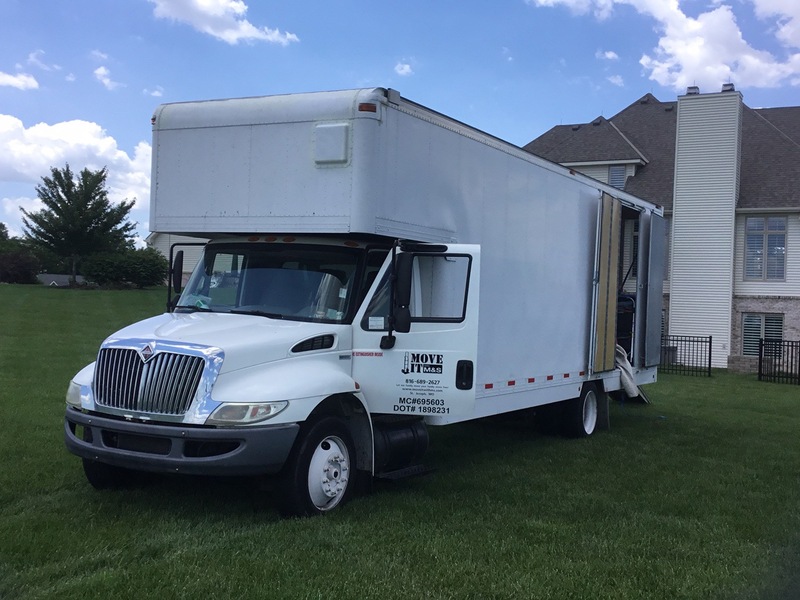 Unable to find help in unloading the rental truck, Theresa recognized a need for a family owned and operated moving service in the Saint Joseph, Missouri area. Born and raised in Atchison, Kansas, Theresa graduated from Missouri Western and worked for Buchanan County for several years. After working in information technology and obtaining her MBA, she has transitioned to a full-time business owner. Louis brings years of experience in the transportation industry and his great customer service to the business. Move It With M & S, LLC is proud to be the only moving company that belongs to the Saint Joseph Missouri Chamber of Commerce. Additionally, Move It With M & S, LLC belongs to the Better Business Bureau of Kansas City. To provide our customers with high quality, stress-free moving services and freight/delivery services at an excellent value, with a personalized approach. We are fully licensed and insured, as required by the Department of Transportation, as a requirement for all professional movers. We are authorized to be interstate movers. We are the only moving company in northwest Missouri that has this distinction. Our DOT information can be viewed here. You can research other moving companies here or call the Missouri Department of Transportation, Motor Carrier Services at (866) 831-6277 or (573) 751-7100. You can also visit the Missouri Department of Transportation website and ask if the company you are researching has authority and insurance to operate. Our DOT number is 1898231. Our MC number is MC-695603. I didn't have a big move, it was just a full, Queen Size, solid wood bedroom set and a three seat row of theater seating. We had a 6' x 12' cargo trailer to load. The 2 gentlemen that came took a preview of the furniture so as to develop a plan of attack. Once the guys had their plan of attack we just got out of the way. Each piece of furniture was wrapped in plastic then a moving blanket. With in forty-five minutes the trailer was loaded and locked! 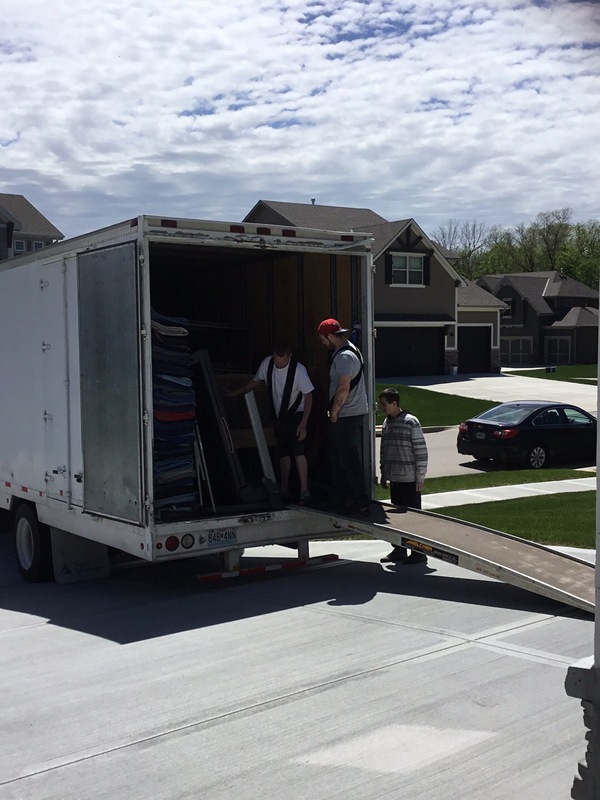 Both guys were kind, respectful of my family and me, as well as the furniture as they moved and loaded. I highly recommend Move It with M & S for any and all of one's moving needs. Theresa (owner) personally called me and delivered 1 ton of bikes to me when another company couldn't do it for a week! She delivered ahead of schedule and in a professional manner. As a business owner, she understood how important it was to get the equipment in a timely manner. They made miracles happen! I can't thank her enough. Please use this company for your moves, packing, assembly, and courier services! HIGHLY recommend! They handled a gigantic move for us in 2008 and were extremely professional. Theresa, Luis and their amazing team are just the best! They handle your belongings with care! I highly recommend them for moving anything including pianos! Thanks again for making a stressful time so easy! We used this company last Fall and they were fantastic. So professional- so quick -so careful. I highly recommend. M&S moved my sister to a assisted living center and did an excellent job. I would highly recommend them. I wouldn't move without calling these guys! Great service and stress free moving! Wish I could give them 20 stars! The best ever!